The FCS schedule reaches the quarter pole today while the #NECFB race rumbles on. 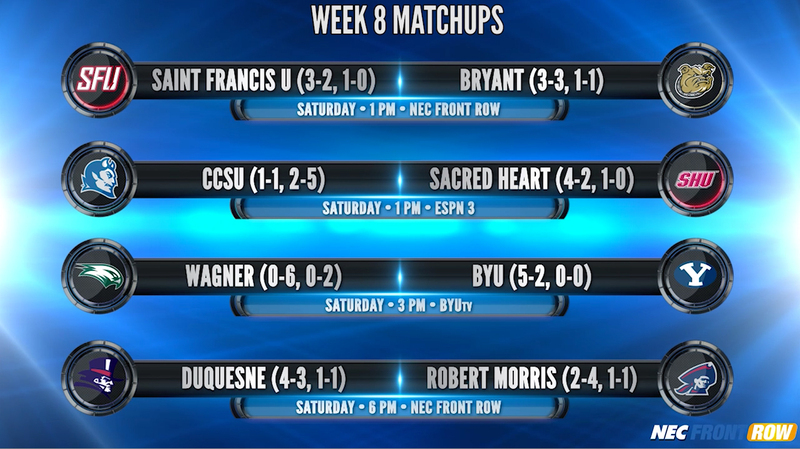 Three conference contests await in Week 9, including the #NECFB on ESPN3 Game of the Week between Central Connecticut and Robert Morris. The former is one of three teams tied for first place in the league standings with a 2-1 record. 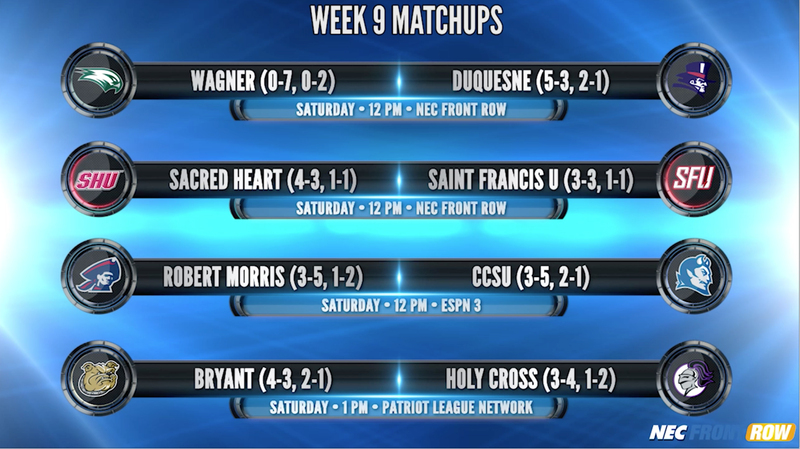 Saint Francis hosts Sacred Heart while Wagner battles Duquesne in other NEC action. Bryant will complete its non-conference schedule with a visit to Patriot League member Holy Cross. They were the last two teams picked in the preseason coaches’ poll, but midway through the #NECFB schedule and they are both in title contention. In fact, Central Connecticut is in a three-way tie for first place. The Blue Devils (2-1), who have defeated two of the top-three teams from that aforementioned preseason poll, welcome Robert Morris (1-2) to Arute Field for the “NECFB on ESPN3” Game of the Week on October 31. The game will kick off at 12:00 pm ET. 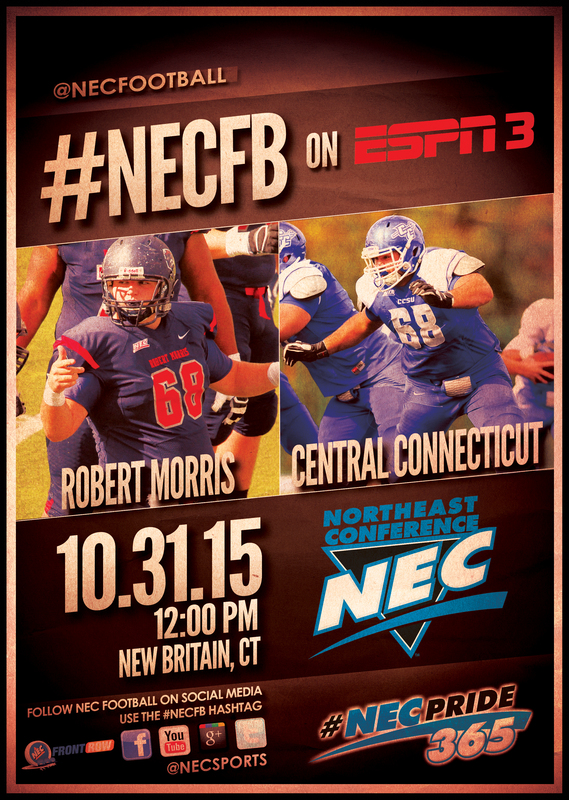 Both teams feature second-year head coaches – CCSU (Pete Rossomando), Robert Morris (John Banaszak). RMU captured last year’s meeting in Moon, scoring 18 unanswered points to pull out a 27-24 victory. Dave Popkin will be on the call Saturday along with NFL coaching veteran Kevin Gilbride. John Cabral will man the sidelines. The Northeast Conference will crown its cross country champions this upcoming Saturday at Bryant University, hence the subject of today’s #ThrowbackThursday. Before he became an Olympic Marathoner, Brian Sell was propelling Saint Francis U to the NEC XC team title. Sell, who posted three consecutive top-five finishes at the NEC Cross Country Championships (1998-2000), helped the Red Flash capture their first-ever #NECXC men’s team title. After placing fifth on the individual leaderboard in 1998, Sell moved up to second overall in 1999 as SFU ended Mount St. Mary’s quest for a fifth straight team title. The Keystone State product was again the top finisher for Saint Francis U in 2000, powering the Flash to back-to-back NEC crowns. 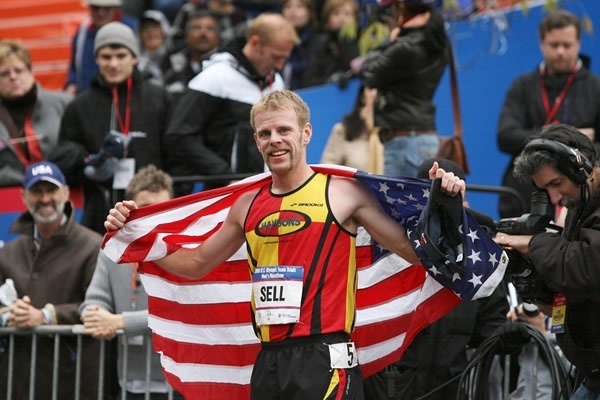 Sell, who was a 2015 enshrinee to the SFU Athletics Hall of Fame, finished third overall at the 2008 US Olympic trials in the marathon and went on to compete in Beijing. It’s a full slate in Week8. Three important conference matchups highlight the docket, including a pair of rivalry games. Wagner is the lone team to step outside of the league this week, heading to BYU for a bout with the Cougars. The largest live coverage package in league history rolls on this Saturday (Oct. 24) and the Nutmeg State will provide the backdrop. 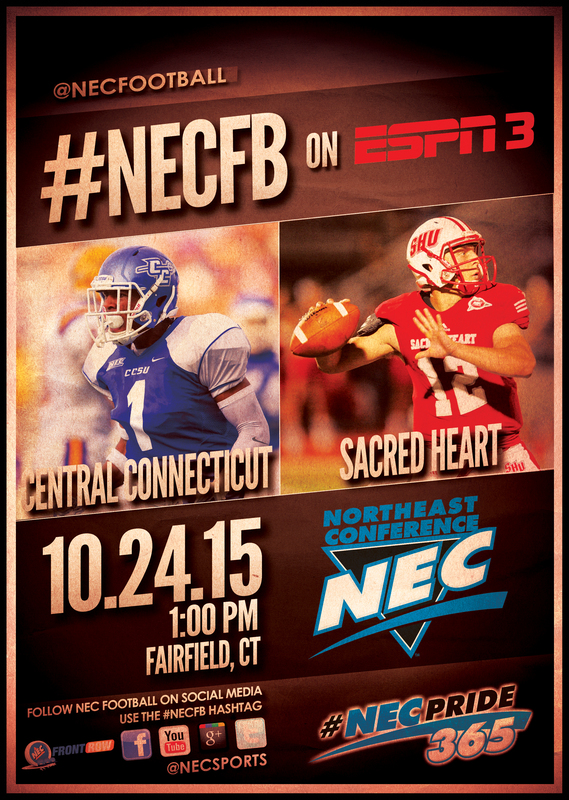 Intrastate rivals Sacred Heart and Central Connecticut will clash on Campus Field in Fairfield and the nation can watch live via ESPN’s multi-screen digital network. The Pioneers (1-0) and the visiting Blue Devils (1-1) are both very much alive in the race for first place. Paul Dottino, a member of the New York Giants radio network, will be on the call along with NFL coaching veteran Kevin Gilbride. John Schmeelk will man the sidelines.